As I begin to blog about the topics that I’ve researched and that led me to situate this novel series at the end of petroleum, I hardly know where to begin.It was a three-year research process to come to the series, and some of my reading goes back to my university undergrad days. I’ll start the series with answering general questions friends and readers have already asked me and imaginary questions that other people might ask in the future. Do you believe that oil is coming to an end? It’s a finite resource. The world population increases daily by almost a quarter of a million people, India and China, the most populous nations, become bigger users of fossil fuels every day, and it takes tens of millions of years for new oil to be made via geological processes. So yes, absolutely, it’s coming to an end. I don’t need to “believe” it, no more than I need to “believe” in gravity or molybdenum or the planet Mercury. Oil will run out. But I’ve read in the newspaper there is plenty. Don’t you believe the official measures of available oil and predictions of how long it will last? Not for a second. These figures come from the oil industry itself (remember, the folks you brought you Deep Horizon and the Exxon Valdez? ), which is fixated on short-term profit, not the long-term health of civilization, and from the same governments who have lied about far too much for my entire life. Obviously none is to be trusted and all have their own vested economic interests that make lying advantageous to them. They aren’t wholly on my side and have plenty of incentive to lie, so I don’t believe them. Sure, that’s because some are clearly nutty, but also because the most rational and well-read of them are predicting details about a future that is unpredictable. I don’t know the future, and they don’t know. Some (not much) new oil could be discovered. New technologies might emerge to get oil out of tar sands more efficiently, though for now it takes more energy to extract it than it gives in return. (same is true of corn-based ethanol.) Nobody knows the shape of the future, and while someone out there (probably a few gas executives and intelligence agencies) is certain how much gasoline is truly left to be pumped up, they aren’t sharing that info. We do all know this: oil is a finite resource and more than half that ever was has already been burned. 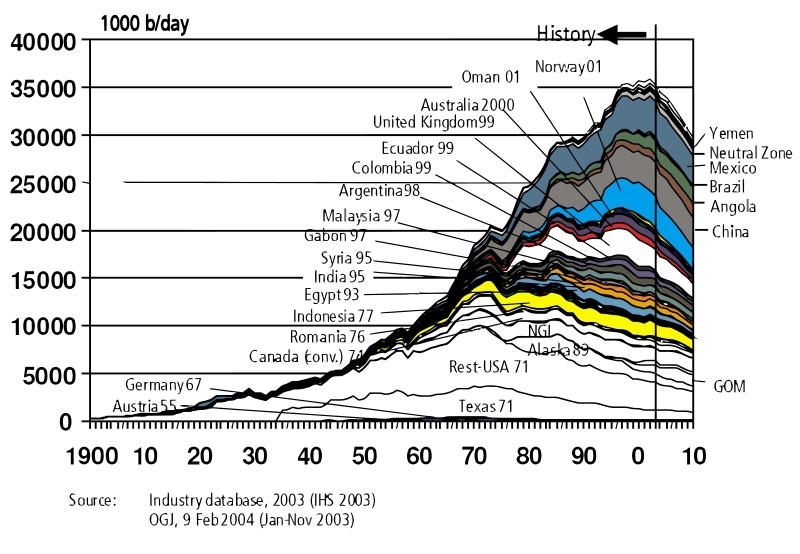 When will oil entirely run out? 1) Anything I could find on small ground-unit tactics, including parts of the US Army field manuals and after-action reports from Australian, US, and British ground troops going back to the 1950s. In a few cases, the reports had a few lines about what it felt like to be there and vivid descriptions that helped me imagine (though I’ve never been in combat myself) what that might be like. Many thanks to those authors. 2) I admit that I’m no expert on weapons (I’ve fired a half-dozen, but that’s about it), so online manuals and discussions have helped me appear (I hope) something other than a fool on the topic. Friends help, and I’ll continue to use my friends for just that purpose as I write the rest of the series. A big thank you goes out to them for this help. 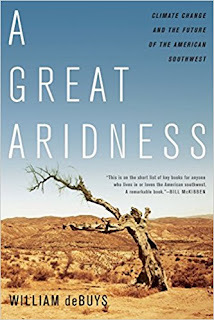 3) Though it’s a subtle part of the setting at first, there is a warming trend in the deserts of the southwest US right now and I’ve extrapolated worse in the near future setting of my novels so that the snow level is higher, the mid-altitudes hotter, and the animal populations are shifting. I’ve read paleoclimatology edited for the non-professional reader, including The West Without Water, Ingram and Malamud-Roan. 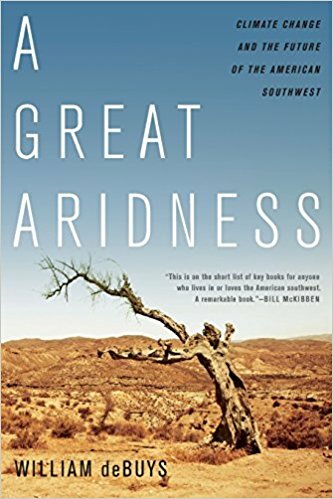 I’ve read climate change books that focus specifically on Arizona and New Mexico, including the beautifully written A Great Aridness by William DeBuys. I revisited some of the ruins of Sinagua and Hohokam people in Arizona where drought and heat drove them away from their home (and which also drove other cultural changes that led to the abandonment of many Indian cities in the 1400s in the southwestern US.) Brian Fagan’s books on water and climate and the history of human civilization provided some additional help. As the series progresses, it becomes more of a cli-fi series. 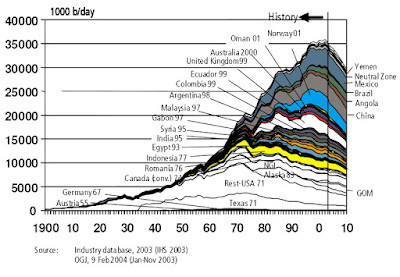 4) Over the past three years, I’ve read probably everything written for the general audience on peak oil since 1990, including many blogs and debates in comments, ones from the wackdoodle (and the topic seems to attract some of that!) to the sober. I’ve interviewed a petroleum engineer, viewed every documentary movie on the topic I could find, and if I’ve missed a single popular book, I’d be shocked. (Thanks to the public library and the concept of free inter-library loans for much of this.) For a quick overview, I might suggest (though it is not without its problems) the film A Crude Awakening. 5) Wikipedia has become a sine qua non for most authors. I probably look at some page there five times a day. WokFI is just one page I looked at one day (for a scene that lasts barely 25 words), but hardly an hour passes that I don’t look up something like that. I remember the days when you had to drive to the library and look in books and Periodical Indexes and ask reference librarians (who are terrific people) and call around to find friends of friends of friends in order to find such facts. I donate every year (often twice!) to Wikimedia Foundation because they save me a lot of time and effort. People tell me I spend too much time and effort on research, but as a reader of novels, I like to think the author is telling me truth about the real world rather than nonsense, and so to me it's a worthwhile use of my time. Besides, I like learning, so it's no chore. My new series is going to be set long after the apocalypse, and the world (or at least continent) as we know it will have fallen back to a 17th or 16th century world. 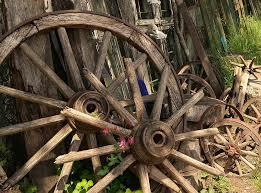 Wheels, for instance, will be carved, wooden, and "tires" will be of salvaged metal strips. Someone has to do the salvage work. Someone has to carve the wheels. My book is partly set in a wooden windmill, where grain is ground for the community. 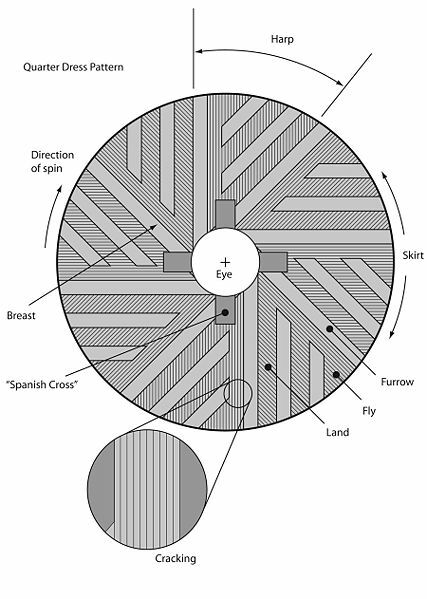 I've been educating myself on the history of windmills, and how complex they grew with people adapting them using nothing but quite simple tools. Lubricated by bee's wax, these machines sawed wood, ground grain, made Holland habitable, made paint, and all sorts of other items for use or trade. I enjoyed musing about the innovations, who came up with them, how long it took to get it "right," and the sort of person who could innovate. Honestly, it took me a week of studying them to figure out the basics! 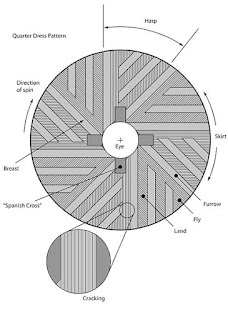 Consider the design of a millstone, carved by a stone carver or millwright by hand. They must have started with just two stones, millennia ago, and came to this point.The more you think about the design--and read up a little on it--you see what an astonishing bit of technology the design is. It grind the grain, it pushes the grain out, and it doesn't pulverize the grain. The stones are further apart near the center and closer at the edge. 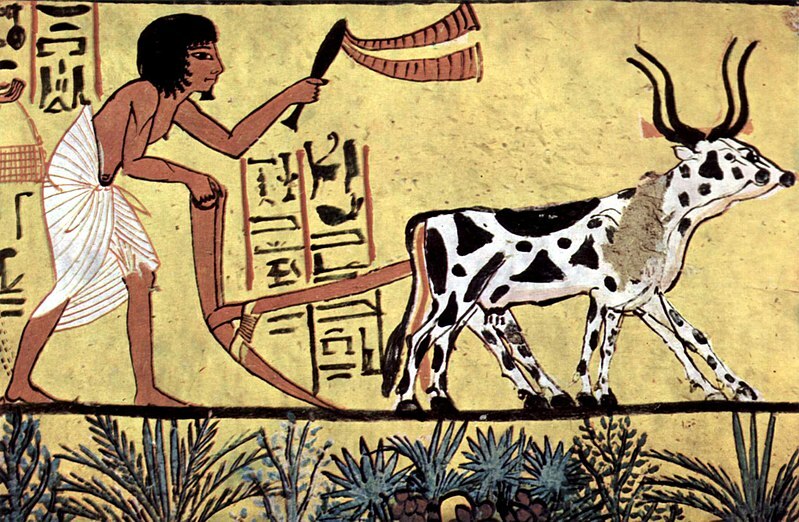 The design controls the movement of the grain (eventually down into a hopper.) Most rotate about 2 times per second. Here's one design, but most look something like this. Jan 1, I plan to type the words "Chapter 1" and get going on the new series. It's a little unusual for indie post-apocalyptic, as the apocalypse will be rather far in the past, but there are similarities in how it's a survival adventure, and new sort of apocalyptic events will spring up for the characters to deal with. As a minor point, climate change may have been nasty for the Oil Apocalypse characters, but when it changes back for their descendants to a colder world, a new kind of climate change will be just as difficult to adapt to. There are other problems they'll face, but I won't spoil it for you. It's coming in 2019. I have become obsessed with vegetable and fruit gardening again. This is not the first time in my life, but it has become a more interesting hobby/obsession lately because of the context of post-apocalyptic thinking. I have a third of an acre lot, and this is close to how much land one person needs to survive on if using intensive planting techniques. I bought my new house in a tiny village where I'm allowed to have hens (and I looked at homes in the country, where I could have had goats, a milk cow, or raised any animal I wished), and that could add to my ability to survive without visiting a grocery store. With a patch of grain grown for the hens, and discards from the veg garden to supplement what they'd find pecking around the yard, I could keep a healthy half-dozen hens. For now, though, I'm focused on expanding the food-producing area of my yard. I lived in Oregon's Willamette Valley once, and if you don't know of it, it's a perfect gardening locale. I had grape arbors, an apple tree, and a veg garden behind a chicken-wire fence. There were also local small farms that had inexpensive fresh produce as well and pick-your-own strawberry fields. Wild blackberry bushes were all over the place, and it was easy to get as many as you could want for no money. It was a lush, beautiful place, and it seldom froze or got over 90F there. I didn't realize how lucky I was! Where I am now, it's a four-season place, and while with a small hoop row cover, you could harvest greens an extra four months of the year, usually May through October are the months for harvesting (or "cropping," if you're living elsewhere). I'm still fighting rabbits, not to mention the bugs that eat the brassicas, but I'm already growing a wider variety of food: tomatoes, peppers, chard, squash, and bok choi comprised my first spring planting. 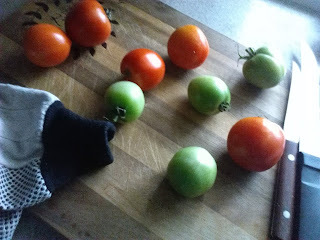 Next year, there will be a good deal more and seven varieties of tomatoes, not just two. Also, I learned some lessons I'll apply next year. And I've grabbed some trellises at yard sales for a dollar here and there that will help me maximize my use of space. Right now, I'm making leaf mold and piling up various compostable items I can find on two new raised 8 x 4 beds. The idea is, over the winter, the organic bits will compost some more, and in spring I'll add a mix of top soil, peat (or equivalent), well rotted cow manure, and perhaps a bag of commercial compost to the top of each bed, plant into it, cover it with a final layer of more saved leaves from this autumn that act as both mulch and compost, and grow. Every year for the next several, as that base layer shrinks down with composting and the worms having at it, I'll add more organic material. And if you want, you don't even need to build the sides of your no-dig "lasagna" bed (though that's carpentry anyone can manage--four boards, twelve screws, and done), but just do it over your grass lawn or weedy lawn and get to planting. Don't walk on it ever (so keep it fairly narrow, probably 4 feet, so you can reach to the middle), and you have a productive soil from year one that only gets better as you add to it. One of the great things about this system is the soil is so loose, you don't need anything more than a trowel and your hands to harvest. Watch my current favorite youtube gardener, Patrick at One Yard Revolution, harvest his potatoes for soup this year. I have a set-up for seed-starting so I can harvest earlier (I should be getting lettuce, bok choi, and spinach by the end of April, weather permitting), and keep accumulating weird containers to start seeds in. (toilet paper tubes for plants that hate to be transplanted, for instance, and I can't go to a potluck but that I'm rescuing the plastic top off the disposable cake dish). Best of all, I'm enjoying the learning, planning,and even the work a lot! Now, talk to me when it's 95 degrees F out there and I have to mow, and I'll complain all day long. 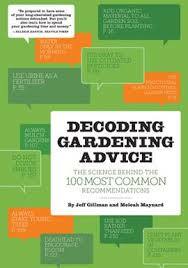 But for now, I'm having a fun time, and I'm reading books like this about the science of gardening advice. I hope to never actually need to survive off my own yard, and I'm not ever going to be willing to shoot strangers over them stealing a few potatoes, but perhaps one day I'll be in such dire financial straits I need the back yard garden in order to eat sufficient food to stay alive. The way the world is going, that doesn't seem like a silly thought any more. I'm getting the system in place, and living through my failures while I have the energy and initial cash to start it up. It's not super-pricey, mind you, but the first heirloom seeds before you begin to save them, the first tools, the bit of lumber, and a few bags of compost before your own pile is large enough to provide all you need will set you back around a dollar per every square gardening foot that first year. After that, if you save seeds, you need to spend almost nothing. If you don't garden, you may not know what you're missing! Start small, with a 7-gallon container or grow bag for a cherry tomato plant, or new potatoes if you don't like tomatoes, and see if you don't think the small effort was worth what you'll be eating as a result. 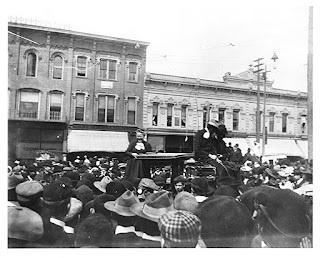 Before my family kills me for being so slow about this, I'm currently working on the finishing touches to a family history novel I wrote originally in 1911, based on the life of my great-grandmother Nellie. I've been promising it to my family for a while, and this holiday season, they will finally get it. SPOILERS BELOW. If you want to read this book, don't read the blog post. not the orphanage...but built at a similar time. Nellie's mom, Clara, went on to move to Indiana, where an older man married her despite the out-of-wedlock child, and she had two more girls by him, and he died. Her poverty grew dire, and quickly. It was a time of transition for America, when the good farming land was mostly claimed by oldest brothers, when steam engines were harvesting the crops and fewer farm workers were needed, when city factories were calling to displaced children of farms with their hard, filthy, and dangerous jobs, and when the working class was trying to find its place. 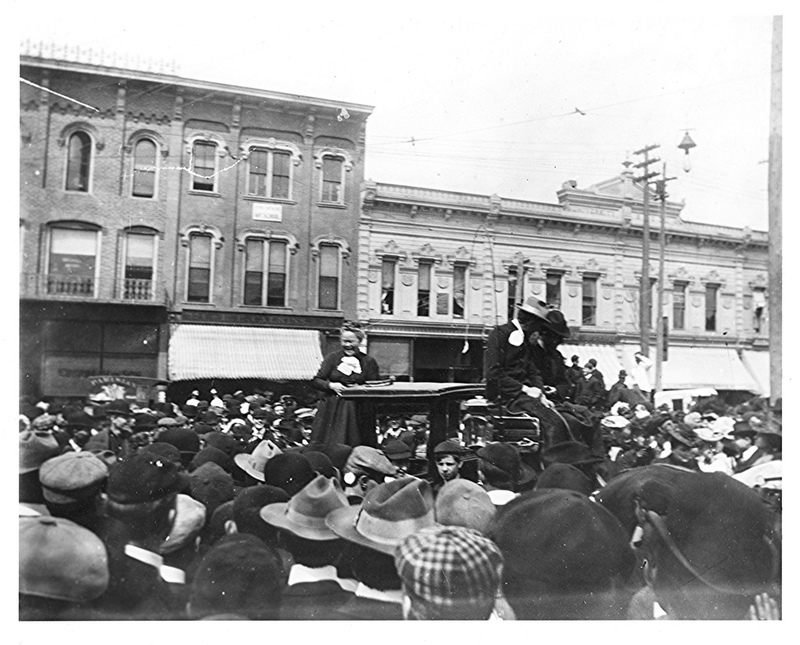 With women having no rights, really--not the right to own property in some states or to vote or to ask for equal pay or to divorce a man who beat them--Clara was in a deteriorating situation. While some of her brothers had money, none of them stepped up to help her or her other sisters with money problems. One of them, possibly ill with tuberculosis, visited with her daughter Florence and left her with Clara. I have no idea what their arrangement was--did Clara agree to take on this extra mouth to feed? Or did the sister sneak off in the night? No idea. But it was the straw that broke Clara. She drove all four of the girls to the local orphanage and signed over her parental rights. It was their only shot at surviving. As always, I researched for this book extensively, and the story on orphanages of the turn of the 19th-20th century is fascinating. Fully half of the children there were like Nellie--not orphaned at all, but arriving on the edge of starvation. Their living parents, fighting for jobs in the shifting economy (from agrarian to industrial) felt they had no other choice. They were lucky there was any social service system, I suppose, for there was no food stamps or governmental assistance. All this fell on the private sector, on benefactors, on good orphanage administration finding ways to get merchant-class citizens to donate. There were terrible orphanages, ruled by child gangs. 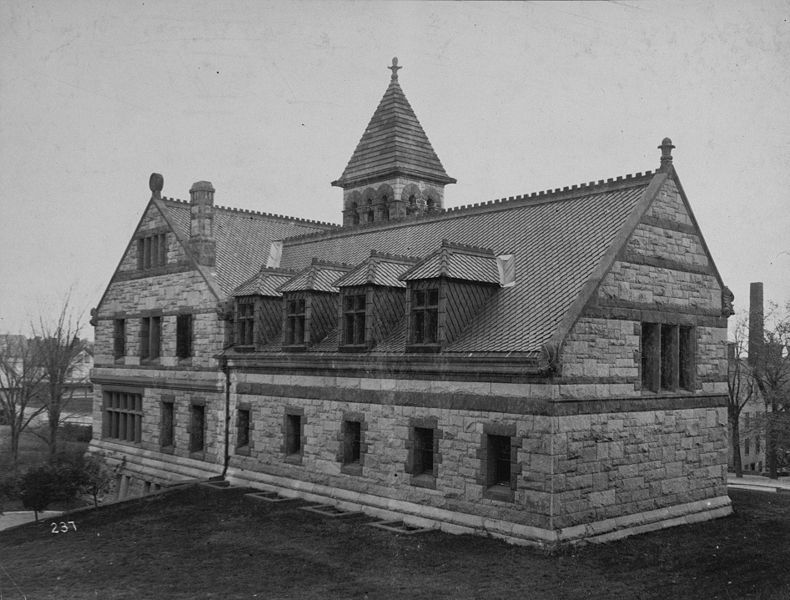 There were terrible orphanages, where the children continued to starve and were beaten. And there was the one in Indianapolis (which still survives as a child-aid organization!) which was by all accounts, pretty well done. Nellie was a pretty girl, with dark hair and strong eyebrows, and she was snatched up by a farm couple from a neighboring county and taken away, as an indentured servant. Again, the experience of orphan indentured servants varied around the turn of the century. Most of them were worked half to death. Nellie was incredibly fortunate. The couple who picked her out was a lovely pair, with three teenage sons, a well-run farm, and only lacking a girl to help out Ma in keeping everyone fed and clothed. Nellie filled that roll. She was not raped or beaten or starved or forced to sleep in the barn, as many of the indentured orphans may have been. She did not have any need to run away from her indentured life, as many of them did. an indoor bike track, 1902. Whoda thunk? But she was under contract, not a slave but still very much controlled under the law. And that's all I tell you (except you can guess she survived, because here I am, writing about her!) The book takes us through her time in the orphanage only, right up to when the farm couple took her out the front door and into an unknown future. In editing this, I'm appreciative of people who write historical fiction for a living. It's not easy! Just one example: I was editing the book and saw the word "toothbrush." Luckily, I thought to question it. Did people own toothbrushes in 1900, the year this is set? Heavens knows how many similar errors I've missed! I knew not to have a lot of cars driving around. I've been to historic museums of the Midwest to look at household items like kitchen items, pocketbooks, and clothing. I researched extensively Indianapolis's street car system, fares, and how people bought food. I've read dozens of newspapers from Nellie's childhood years at a historical archive in Indiana. Studying the ads helped put me in mind of what life had been like then. But even though I do all this careful work, it's the little details, like a toothbrush (or not) that are sure to trip me up. I know a few of my regular readers will like this book, but mostly, it's for my family, my fictional account of what Nellie must have felt like and experienced after her mother dropped her off at the orphanage that spring day. She was 11, the eldest. Children were different then, with more responsibilities in a home or farm. What might she have felt? What comforts would she have clung to? Would she love or hate her mother, or both? I can't know, but I guessed, as novelists do. The book should be out approximately the end of the year.